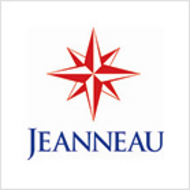 Founded in the 1960's, Jeanneau boats exemplify excellent French design achieved through its world class team of engineers and designers that devote themselves to delivering a world-class and industry topping final product. The Jeanneau designers utilize computer aided design and manufacturing, their skilled craftsmen, and experience gathered since the 1960s to maintain the standards required in the modern boating world. The new Cap Camarat 635 has been designed by Italian stylists Garroni, working closely with the Jeanneau design department. The real skill of the designers can be seen in the detailing, and especially in the cockpit layout either side of the central console, that not only makes for an incredibly attractive boat, but one that delivers supreme comfort levels offshore. The driving and passenger positions deliver confidence through their commanding seating positions. Expect high quality fittings as consistent with all of Jeanneau’s deliverables. Easy to transport and launch, adaptable to varied cruising activities, and offering economic fuel consumption while cruising, the Cap Camarat 515 possesses the same charming characteristics that have built the success of the Cap Camarat product line over the years. The Style series, with its yellow hull, truly lives up to its name with designs from the finest designers in the industry, fitted with some of the highest quality furnishings you’d expect in this type of range. With the Cap Camarat 545, day cruisers have room to spread out. Offering more space, more comfort and more power, the Cap Camarat 545 is an excellent open family powerboat, with plenty of seating for all aboard, so whether you go it alone, or take out your friends and family, there’s always a place for a sailing companion. The Cap Camarat 545 WA is unique. As you may expect, it offers all the advantages of an open powerboat, with its spacious, open-air cockpit, large sundeck and generously sized console. Yet the Cap Camarat 545 WA offers still more. Its circular forward saloon allows plenty of room to gather the entire crew around a festive table to benefit fully from the fresh air. The Cap Camarat 715 is the second Cap Camarat equipped with a stepped hull. Designed by Michaël Peters and sculpted by par Vittorio Garroni, this new model emphasizes the key points of the range. Styled by Italian naval architect, Vittorio Garroni, and with an efficient, stepped hull designed by Michael Peters, the Cap Camarat 715 WA will surprise and excite you with its elegance, excellent performance and comfortable design. Refinement down to the smallest detail lends a unique character to this attractive walkaround, perfect for casual and common usage, making it a good boat for all types of sailors. A true reference in the world of walkarounds, the Cap Camarat 755 WA is an ideal family day boat, featuring comfort both at anchor and while under way. Features include spacious, distinct living areas (generous cockpit, large forward sundeck, comfortable cabin) and a classic Jeanneau hull that consistently excels in its performance at sea. These and many other fine qualities entice families to discover coastal cruising by powerboat. Luxurious comfort will impress you on this attractive walkaround that is surprising for its size, living space onboard, quality of workmanship and finishing details. Aboard this large walkaround, distances become attainable and the dream of navigating the open waters is yours for the taking. Enjoy pleasure cruises and casual swimming as and when you please in this excellent development. An excellent family day cruiser, the Leader 545 combines many fine qualities that will appeal to the whole family: a secure hull, a protected cockpit, a spacious cabin and lateral sidedecks. As a LEADER, the 545 is endowed with a versatile character, and everyone will appreciate its powerful, fuel-efficient engine allowing you to cruise effortlessly through the sea. Seeking to redefine the family day boat, Jeanneau developed the Leader 625 for a new generation. Sun bathing, water skiing and even occasional fishing are the activities for which this boat was particularly designed. Aboard the Leader 625, ergonomics and ease of use are taken to the extreme. Innovative, spacious, comfortable, all in a very stylish boat that is making a name for itself… It’s the Italian look, modified by Jeanneau that has combined some of the finest aspects of boat building and development into one sleek and comfortable boat. Handsome, strong and seaworthy are three of the words that spring to mine when someone mentions the new Merry Fisher 585. This delivery from Jeanneau is distinctive with its modern designs inside and out. This vessel is designed for coastal cruising and fishing, represented by the 5.75 metre version that is easy to help and completely control out at sea. Fitted with a 100 hp outboard, the cockpit is uncluttered and well-designed to make maximum use of space with highly practical fittings and storage solutions: another faultless design from Jeanneau. Specialists in fisher-cruisers since the company’s inception, Jeanneau continues to perfect the concept of the true fisher-cruiser with the new Merry Fisher 585 Marlin. Available with or without wheelhouse, the Merry Fisher 585 Marlin offers excellent value, space (very large, open cockpit), security (side deck design, deep cockpit, seating forward) and adaptability to meet a variety of fishing and cruising needs (featuring an open cockpit for fishing and generous seating for comfortable cruising). Delivering an impressive performance (from 22 knots with 70 HP), the new Merry Fisher 585 Marlin is now available for the enjoyment of the most adept day cruisers. The Merry Fisher 625 from Jeanneau ’s powerboat design office remains faithful to the spirit of the brand. Her development benefits not only from more than 40 years of experience in the field, but also from Jeanneau’s commitment to innovation. Discover the LEGEND version of the Merry Fisher 625, a seaworthy, attractive and affordable vessel. The Merry Fisher is one of the most-respected lines of boats in its class. Designed specifically for cruising and fishing, these boats between come between 5 and 9 metres, meaning you can select the one that suits your needs closest. The Merry Fisher 655, provides, more than ever, comfortable cruising with practical amenities for coastal cruising. The new Merry Fisher 655 Marlin benefits from the quality of Jeanneau tradition and the reputable Merry Fisher line. There are style as well as the seagoing spirit; 100 % fishing and 85 HP of power as well. Surprisingly comfortable for coastal cruising and excellent for fishing, the Merry Fisher 705 has perfectly incorporated the criteria for success of the Merry Fisher line. The three berths with separate head compartments and the efficient galley are splendidly adapted for coastal cruising. An entirely open cockpit, with near-centreline cockpit hatch and ample storage lockers, is optimized for fishing. From stem to stern, the Merry Fisher 805 offers not only unequaled comfort but excellent seaworthiness, being quick and safe under all navigation conditions, with of course, the world famous and distinctive effects of the time, passion and care put into it by the company at Jeanneau. The arrival of the Merry Fisher 925 completes the well-established Merry Fisher range, which has provided Jeanneau with its high reputation for motorboats, accessible for those that enjoy cruising and fishing. The stable and powerful hull provides for comfortable cruising. Designed by the architects at Jeanneau Design whose savoir-faire and experience is clearly felt when at the helm. The interior is luxuriously appointed with a large owner’s cabin, a spacious saloon and a true head compartment, coming in an open and sport top edition. This boats cockpit would be considered spacious on even a 34-foot boat, so you’ll enjoy the freedom and atmosphere inside and out, giving you a wonderful area to relax and cruise. Welcome aboard the Prestige 32, a vessel that truly reflects the meaning of her name, stimulating dreams of luxury and exotic locations. Jeanneau has developed for the Prestige 32 a more spacious and expansive layout than those found on traditional cabin cruisers. In order to reduce resistance when moving through the water, the new 34 Open hull behaves as if it is at one with the sea. Its handling, combined with its cruising abilities ensure that this boat is an excellent one to become an owner of. With its beauty, space and performance, the Prestige 36 is an exceptional motorboat that cleverly exploits the creativity of its Italian designers, Garroni & Musio Sale, who are so often associated with the Jeanneau mark. In order to create a motor yacht that combines performance, easy handling and comfort, Jeanneau called upon two renowned design specialists. The first is the American architect Michael Peters, who provided the hull lines and the second is Vittorio Garroni who designed the deck and the interior layout. It is safe to say that the project was a success, with an excellent final product that will suit your every need. The new Prestige 42 S is issued from the powerful creativity of Jeanneau. Volvo provided the new IPS propulsion, Garroni Design added the architecture and design, Michael Peters supplied the hull forms and Jeanneau Design oversaw engineering and project management. The true strength of Jeanneau is the synthesising of these world-renown talents around a new project. Flagship of the Jeanneau motoryacht fleet, the Prestige 50 S effuses elegance and high-class personality. Extraordinarily voluminous living space, luxurious decoration, and an exceptional level of comfort safely combine with sport boat performance levels. This magnificent, seaworthy sailboat is rigged with a furling mainsail and genoa, for easy handling with a short-handed crew. On the high seas, you will feel completely secure. The Sun Odyssey 29.2 is a sailboat built for family cruising. Boasting a powerful hull, designed by Jacques Fauroux, this boat perfectly illustrates the concept of sailors to the core. An excellent value, this brand new 30-foot cruiser is endowed with the classic features and modern comforts of the Sun Odyssey line. The interior volume and comfort make the new Sun Odyssey 30i a standout in its class. A lifting keel version offers an essential feeling of security between two tides. Sun Odyssey 32 benefits of a new version twin keels and twin rudders without changing the boat performance. Pure, fluid lines on the Sun Odyssey 32i make it unique. Architect, Philippe Briand, and the Jeanneau design team have created this cruising sailboat in keeping with Jeanneau’s values. The Sun Odyssey 36i is the new high-performance cruising yacht built for comfort and designed for those looking for a relaxed way of getting away from it all. Twin steering positions with winches placed near the helms provide easy sail handling. For safety, a dedicated life raft locker is integrated into the stern skirt. With intelligent design from the Jeanneau Design Department in cooperation with designer Marc Lombard, this new yacht offers spacious, functional below-deck accommodation with 2 cabins/2 head compartments or 3 cabins/ 2 head compartments. Performance version : Taller mast with increased sail area, tri-radial cut Prestige series sails with sandwich construction of Mylar/taffeta for form stability and pure sailing performance, Dyform stainless-steel standing rigging, Adjustable backstay for performance tuning, Racing furler with twin grove foil and removable drum, Genoa cars adjustable from the cockpit, feathering propeller to reduce drag, mainsheet traveller remains on the coachroof to keep to cockpit clear, performance keel available at 2,10m, but this version is also compatible with the standard deep keel, Dyneema running rigging eliminates stretch and slippage. The performance version proposes Taller mast with increased sail area, Tri-radial cut Prestige series sails with sandwich construction of Mylar/taffeta for form stability and pure sailing performance, Dyform stainless-steel standing rigging, Adjustable backstay for performance tuning, Dyneema running rigging eliminates stretch and slippage, Racing furler with twin grove foil and removable drum, Genoa cars adjustable from the cockpit, Feathering propeller to reduce drag, Performance keel available at 2.20m, but this version is also compatible with the standard deep keel. Performance Version - New 2007 Dyform® stainless-steel standing rigging - Dyneema® running rigging eliminates stretch and slippage - Adjustable backstay for performance tuning - Racing furler with twin grove foil and removable drum - Genoa cars adjustable from the cockpit - Feathering propeller to reduce drag - Mainsheet traveller remains on the coachroof to keep the cockpit clear - Performance keel available at 2,30 m, but this version is also compatible with the standard deep keel - Tri-radial cut Prestige series sails with sandwich construction of Mylar/taffeta for form stability and pure sailing performance - Taller mast with increased sail area. Taller mast with increased sail area - Tri-radial cut, full-batten Prestige series sails with sandwich construction of Mylar/taffeta for form stability and pure sailing performance - Dyform stainless-steel standing rigging - Dyneema running rigging eliminates stretch and slippage - Adjustable backstay for performance tuning - Racing furler with twin grove foil and removable drum - Short, racing pulpit for use with optional gennaker furler - Max Prop propeller to reduce drag - Mainsheet traveler remains on the coach roof to keep the cockpit clear - Performance keel available at 2.30m, but this version is also compatible with the standard deep keel. The secret to a successful cruise is in shared moments of pleasure. With a large galley, spacious saloon, beautifully finished card chart table and navigation station, modern styling, abundant natural light and fresh air, the interior of the Sun Odyssey 49i offers an extremely liveable space and luxurious comfort ideal for a range of boaters.